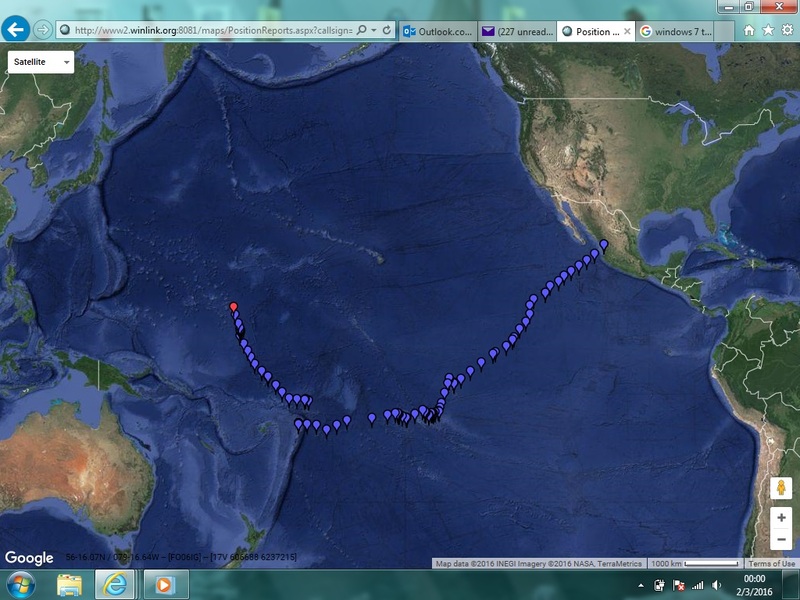 We are almost at the halfway point, another 2 days, have traveld 1264 nautical miles so far. All is well, we are enjoying the cruise, played come-catch-me with some squalls just before sunrise this morning. We can see them coming at us on the radar. We are traveling almost dead downwind as do the squalls, sort of like playing a video game with pac-man chasing us. Our wind vane steering is doing a stellar job. Did have a couple of blocks(pulleys) break on it, I underestimated the force this thing can generate. Replaced with heavier ones in short order. Eating well, Lauri is the greatest cook. Three meals a day and mango ice cream to die for. What do you expect before crossing the largest ocean in a 45 foot sailboat? We did a lot of research and it is so different then our expectations and we are loving it! It certainly helps that we are having great weather, lots of dolphins and birds to keep our attention. In 4 days we have traveled 677 nautical miles, with reletively smooth seas. We certainly have been eating well and sleeping better then expected. Most of our mangos ripened at the same time, so have made lots of Mango ice cream, but Chuck is eating it almost as fast as I can make it. Yum. Well, it's time for a nice nap, so got to go! Left La Cruz 12:00 local, good wind made 166 nautical miles in the first 24 hours. All is well, sunny skies. We had some friends visit from Lauri's old hometown of Ajijic. 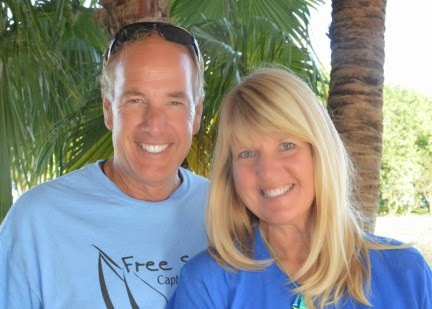 Brad and Mary, Rick and Diane. They rented a condo over looking the bay that we are anchored in. 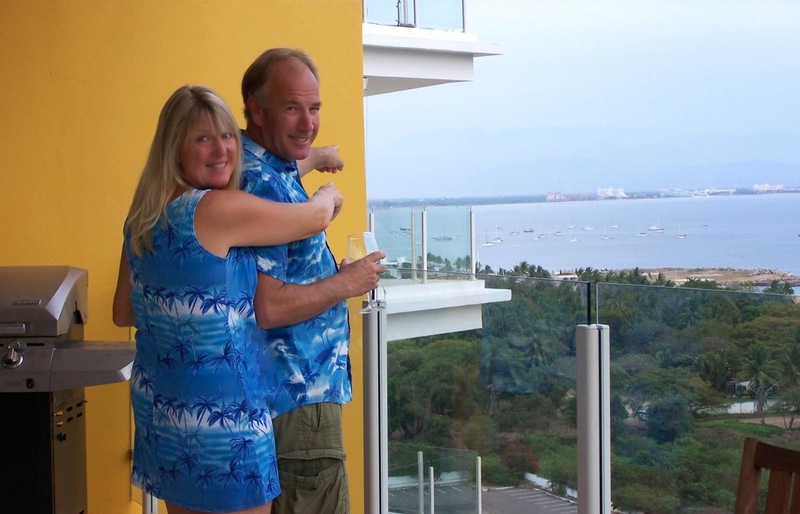 A conversation came up about how a lot of people, especially in the sailing community think we are married......I stated why don't we make it official ;-)...sheesh, we're already dressing alike anyways. A champagne toast with a bottle we have been saving for a special occasion (thanks Bryan and Garla) A wonderful dinner followed. 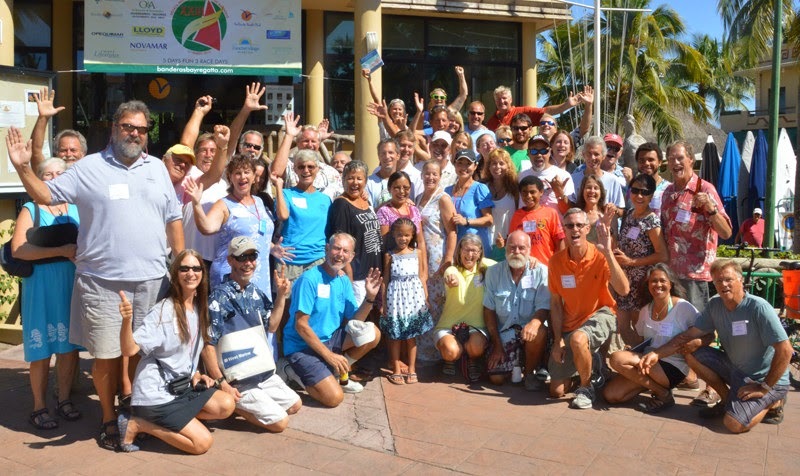 The next day we took the group sailing and an impromptu ceremony was performed by Rick on the back of Free Spirit. Our "official" ceremony will be in the South Pacific? We plan on many more symbolic ceremonies all over the world so we may continue on our perpetual honeymoon. We have been attending seminars, provision, safety etc. at the Vallarta Yacht club in Nuevo Vallarta. 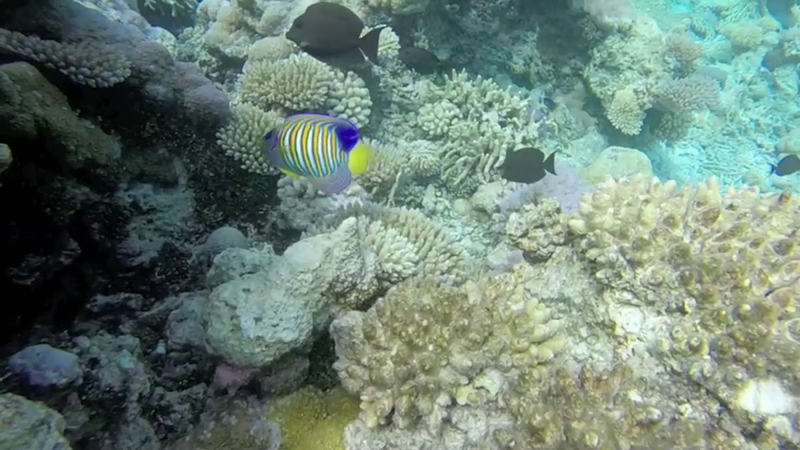 We have met a lot of new friends who will be also sailing to French Polynesia.